Where is the Township office located? 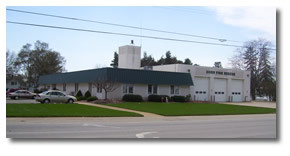 The Township offices are located on the southwest corner of 142nd Avenue and 18th Street. How do I get involved? Anyone interested in applying for a position to an appointed board or commission, please send your resume to the Township Office. These will be kept on file for 6 months.